My friend, Tammy Tate, is back today with her latest release, a romance set in a warm tropical location. I like the fact that CARIBBEAN CHRISTMAS has a twist of the paranormal in the mix. You can get the full scope of the story by watching Tammy’s book trailer below. The closest I’ve ever been to spending Christmas in a tropical paradise was growing up in Hollywood and Fort Lauderdale, Florida. Normally in December, I was still swimming. I know it should be a mortal sin. Right? Since, I only had about two months (if that) of what could be considered brisk weather, I sported a golden brown tan all year around. Of course, that was when tans were healthy! Or, so they thought. Since I adore rolling waves, white sandy beaches and crystal blue water, it only stands to reason why I would write a book about a girl who lives in St. Thomas, Virgin Islands during the Christmas holidays. After doing research, I have added “Vacation in the Virgin Islands” to my bucket list. (Pssst…that’s a secret. I haven’t told my husband yet). Feel free to treat yourself to a sneak peek of the book trailer! “I know what you’re thinking.” His voice pulled her back into reality. “Trust me. You don’t—,” she mumbled as his thumb rubbed the back of her hand. Her head shot up. The wind blew her hair and she trapped it behind one ear. “Guilty as charged,” She chuckled, glad that he wasn’t a mind reader. Was he fishing to see if she had a boyfriend? As he leaned forward, warm puffs of air caressed her face. He removed another whisk of hair from her cheek. Trembling, she stepped back. Her heart soared and the crevice between her thighs tingled. That made him dangerous. Even in college when hormone levels rose higher than she could count, she refused to be someone’s one-night stand. Eager to get inside, she fumbled with her deadbolt. The key slipped from her fingers, pinged off the wall and bounced close to the edge. She wasn’t sure how much damage the metal projectile could do six floors down, but she didn’t care to find out. She released a big sigh of relief when he trapped it with his shoe. “Oh… you have no idea,” she chuckled aware of the schoolgirl flutter in her stomach that he seemed oblivious to. Throw a haunted house and a ghost into the mix and fasten your seatbelt! Before she became a full-time author, she was an Executive Secretary, a Computer Consultant/Technician, and a Communications Officer (Police Dispatcher). She doesn’t mind a challenge which has allowed her to race a late-model in a women’s powder puff race, run barrels and poles in a play-day rodeo and drive an 18-wheeler. 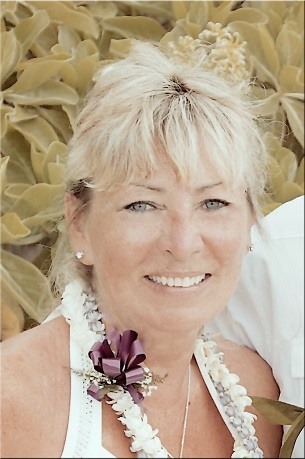 Somewhere in between, she and her husband raised three wonderful children. When she’s not breathing life into her characters or jotting down ideas for a new book, she and her husband are exploring country roads on their Honda Gold Wing. This entry was posted in Book Release, Holiday Romance, Holidays, Romance and tagged Caribbean Christmas, Contemporary Romance, Holiday Romance, Tammy Tate, tropical romance by Mae Clair. Bookmark the permalink. Oh, what can I say, except that the blurb/excerpt has already captured my attention. Paranormal and a bit of romance are my favorites. Best of luck with finding new fans, Tammy! Thank you, Mae, for the lovely story/author you hosted today! Wow, Tammy, that was the best book trailer I’ve ever seen. It’s riveting, suspenseful, and gives an excellent overview of the book. Impressive indeed! Tammy really has a knack for creating book trailers. I told her some time ago she needs to start a side business doing it for authors! Thanks for visiting and commenting, Sue! Merry Christmas and Happy New Year, Tammy and Mae. Love the cover and trailer!! Merry Christmas, Stanalei! Thanks for checking out Tammy’s release! Merry Christmas and Happy New Year back to you stanalei15 and thank you for the kind words! She is great, isn’t she? Happy New Year, Susan! Awww, shucks Mae…so are you! Happy New Year, Susan and thank you for you for stopping by :-)! Mae, thank you so much for having me. You are the best! Great to have you back, Tammy! Happy New Year! This sounds like a great book! Mae always gives good recommendations. And I love book trailers. I wish I had the time to try to figure out how to do my own because I paid for the one I had done, and it takes a bite out of profits that I can’t afford. LOL. It’s great that you can do your own! I made one for my first book Weathering Rock, but haven’t done any since. One of these days I might have to give it another go-round, although mine wasn’t nearly as polished as Tammy’s. 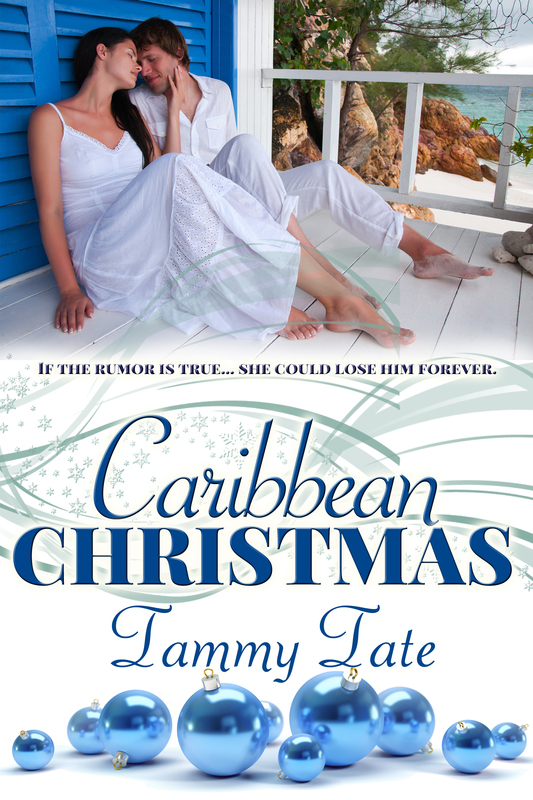 I haven’t read Caribbean Christmas yet, but it sounds like a great breezy romance, doesn’t it? Hope you had a great Christmas, Lauralynn. Happy New Year! I know what you mean Scott! Oh, to live there year round, LOL! Tammy had me from the opening of the trailer with those beautiful ocean sounds. I may spend next Christmas in the Caribbean myself. And the fact there’s an element of the supernatural? I’m sold :). That twist of supernatural does sound great….and the Caribbean, even better. I just got back from there the last month and miss it already!